What is covered in a Home Inspection? 2018 brings new requirements for home inspections in California. California Home inspectors are now required to inspect for drowning prevention safety devices for all homes that have pool systems. This is an effort to reduce drowning of unsupervised children. SB 442 was enacted by Calif legislation as a building code requirement and a way to inform home buyers during the home inspection process. This is another important step to make pool systems safer specifically to young children. Statistics show pool drownings resulting in death or serious injury. 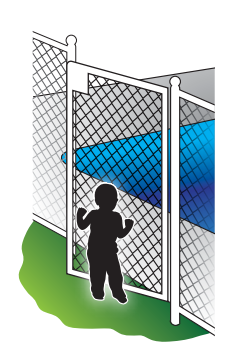 Despite current exterior and interior barrier pool requirements, there’re still tragic drowning deaths or severe injury of children of ages one through four. These are mostly related to children from within the dwelling. SB 442 requires installation of 2 of 7 identified drowning safety devices (See below). These will be required with renovations or new pool system installed that will require a building permit. In addition, home inspectors are required to identify installation of these devices during a real estate purchase. When buying a home with a pool system, home inspectors will now report identifying the type of drowning prevention safety devices and if they meet the minimum required of two of these devices installed. This regulation does not mandate these conditions are corrected as a requirement of a real estate sale. This creates awareness of hazard and recommendations of to correct this condition. devices and report their existence and quantity. They are not tested and cannot determine if installed properly. CREIA has incorporated these requirements into their Standards of Practice and home inspection agreements. It is recommended for realtors and home buyers to verify home inspectors are trained and prepared to inspect for these conditions. On October 11, 2017 Governor Brown signed Senate Bill 442 (SB442 Newman) into law. The bill amends Section 7195 of the Business and Professions Code as well as Sections 115922 and 115925 of the Health and Safety Code. Bills typically go into effect on January 1 after the bill is signed. 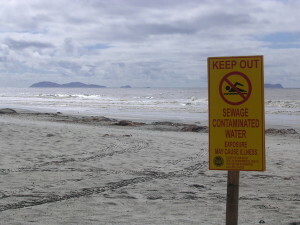 Drownings are the second leading cause of death for children in California. Between 2010 and 2015 more than 740 children between the ages of one and four years of age were hospitalized after a near drowning incident. The leading cause of hospitalization was brain injury due to lack of oxygen, known as asphyxiation. Some survive but many suffer permanent brain injuries. The intent of the bill is to help prevent the large number of such injuries. This is similar to a bill the Governor vetoed last year. In connection with the transfer, as defined in subdivision (e), of real property with a swimming pool or spa, an appropriate inspection shall include a noninvasive physical examination of the pool or spa and dwelling for the purpose of identifying which, if any, of the seven drowning prevention safety features listed in subdivision (a) of Section 115922 of the Health and Safety Code the pool or spa is equipped. A “home inspection report” is a written report prepared for a fee and issued after a home inspection. The report clearly describes and identifies the inspected systems, structures, or components of the dwelling, any material defects identified, and any recommendations regarding the conditions observed or recommendations for evaluation by appropriate persons. 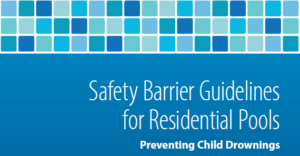 In a dwelling with a pool or spa, the report shall identify which, if any, of the seven drowning prevention safety features listed in subdivision (a) of Section 115922 of the Health and Safety Code the pool or spa is equipped with and shall specifically state if the pool or spa has fewer than two of the listed drowning prevention safety features. The bill requires, when a dwelling has a pool or spa, the home inspection “report shall identify which, if any, of the seven drowning prevention safety features listed in subdivision (a) of Section 115922 of the Health and Safety Code the pool or spa is equipped with and shall specifically state if the pool or spa has fewer than two of the listed drowning prevention safety features. (1) An enclosure that meets the requirements of Section 115923 and isolates the swimming pool or spa from the private single-family home. (2) Removable mesh fencing that meets American Society for Testing and Materials (ASTM) Specifications F2286 standards in conjunction with a gate that is self-closing and self-latching and can accommodate a key lockable device. 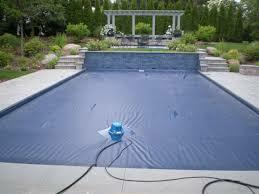 (3) An approved safety pool cover, as defined in subdivision (d) of Section 115921. 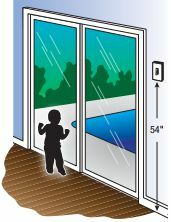 (5) A self-closing, self-latching device with a release mechanism placed no lower than 54 inches above the floor on the private single-family home’s doors providing direct access to the swimming pool or spa. (6) An alarm that, when placed in a swimming pool or spa, will sound upon detection of accidental or unauthorized entrance into the water. The alarm shall meet and be independently certified to the ASTM Standard F2208 “Standard Safety Specification for Residential Pool Alarms,” which includes surface motion, pressure, sonar, laser, and infrared type alarms. A swimming protection alarm feature designed for individual use, including an alarm attached to a child that sounds when the child exceeds a certain distance or becomes submerged in water, is not a qualifying drowning prevention safety feature. (7) Other means of protection, if the degree of protection afforded is equal to or greater than that afforded by any of the features set forth above and has been independently verified by an approved testing laboratory as meeting standards for those features established by the ASTM or the American Society of Mechanical Engineers (ASME). The bill excludes hot tubs or spas with locking safety covers that comply with the American Society for Testing and Materials (ASTM F1346). CREIA applauds any effort which will provide protection for the public. Our Vision Statement is to “To protect lives, health and investments.” In meetings with the sponsors of the bill CREIA clearly communicated concerns to the sponsors of the bill that a home inspection, as defined in the Business and Professions Code, noninvasive physical examination” verification of confirmation to certain ASTM standards may not be possible. How will we approach this new legislation? We will bring same method (LIDER) and professional high standards that we bring to every inspection. As a Realtor, you’ll find yourself increasingly dealing with questions involving solar energy. Whether it’s buyers, sellers, past clients, family or friends, people will look to you for answers to the many questions surrounding “going solar.” In this article we attempt to paint a picture of solar today – the ups and downs – and pay particular attention to what you need to know. A recent survey showed that more than two-thirds of homeowners plan to make energy-related upgrades to their home in the next year. Many of these homeowners are “going solar.” This number will continue to increase as pressure from government at every level coupled with rising utility rates and an aging housing stock drive homeowners toward solar energy. Making wise choices about going solar is not easy. Our goal is to help you understand the issues so you can guide your clients to make informed decisions. You’ll be able to ask the right questions and hopefully help them avoid some of the traps that others stumbled into. • ROI – some homeowners look at solar as an investment – you’ll want to help them pay attention to the risks and rewards of their investment. • The rest of the house – homeowners who don’t pay attention to what’s happening with energy throughout their home could find themselves fighting physics. 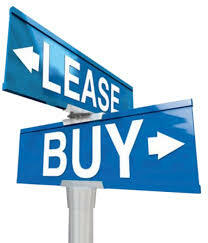 • Lease vs buy – deciding whether to own a solar system or rent it has lasting repercussions. 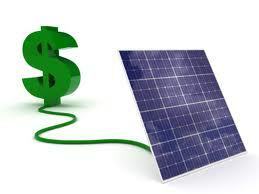 • Net metering – if you own your solar system, you can make money selling power to your utility company – maybe. • Resale – you may assume that adding a solar system to a home will increase it’s value and make it easier to sell – be careful. • The cost of the system, installed. • The cost of maintaining the system over time. • The amount of electricity you consume. • The cost of electricity you consume. • The amount of electricity your system will generate. • The cost of financing your system. • The value of any rebates you receive. 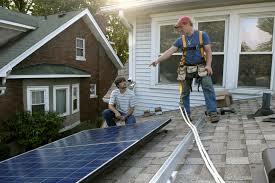 • Net metering rules, fees, and benefits. Besides payback, ROI includes changes to the value of the home and the ease of selling it. The calculations presented to homeowners have to be much simpler – they can’t take into account all of these factors for several reasons. • The solar industry and energy industry as a whole are moving – sometimes slowly, sometimes quickly – sometimes in predictable ways, sometimes not. Businesses, utility companies, municipalities, and regulators each play from a different set of beliefs and assumptions. 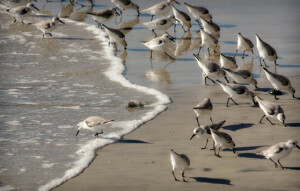 Their power to influence decisions large and small waivers. We simply don’t know what will come next. • User habits change – the weather changes – the home itself changes. The amount of electricity owners use fluctuates. A family may grow or shrink. They may dial back their thermostat. Extremes of heat or cold seem more frequent. Owners may upgrade windows or add insulation. • The cost of electricity is rising – we don’t know by how much or when. • Financing tools are changing constantly. Interest rates vary. Rebates come and go. • Net metering rules are being hotly contested. One day it looks like the solar industry is winning the battle – the next day belongs to the utilities. We don’t know what tomorrow’s rules will look like and no one can be sure they’ll be grandfathered into today’s rules. • All of this varies from lender to lender, from municipality to municipality, and from utility company to utility company. When it comes to factoring ROI into the selling your home, you can’t be sure buyers will want solar, or that they’ll want your system, or the deal you made. You can’t know how your buyer’s lender will treat your solar package – or whether they’ll even allow your deal to pass through. All of this can seem scary. But, it’s pretty typical for any investment. There are potential risks and potential rewards. The idea is to go into any investment with your eyes open. You may also want to remind your customers that going solar is only one element of a more energy-efficient home – one that not only saves you money, but one that provides a safer, more comfortable environment. Besides, it’s clear we are moving towards a better energy future, and we can all feel good about participating in that! If homeowners want to save money and live in a more comfortable home, solar may not be the best first place to look for an upgrade. Most older homes are energy black holes – you pour energy in and it goes everywhere but where you need it. Essentially, you end up heating and cooling the outside rather than the inside of your home. • Is your home’s shell tight? Is warmed or cooled air flowing through cracks and around doors and windows? 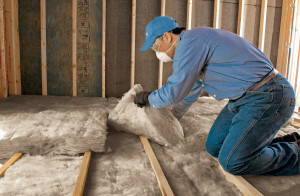 • Is your home’s ductwork tight? Is warmed or cooled air flowing out of leaky ducts before it has a chance to get to your living areas? • Is your home well-insulated? • Are your windows energy-efficient? The fifth place to look – and it’s an important one – is your own habits. Are you wasting energy every day? The key point is that, if homeowners waste a lot of energy, they need A LOT of solar to offset this waste. On the other hand, if they make their homes energy-efficient first, they can get by with a much smaller solar system. Any way you slice it, this will improve their ROI and reduce their payback time. • Get a complete energy assessment. A trained professional can perform tests and gather information to create an energy model of a home. This model can show the effects of various upgrades to consider. You’ll be able to see which upgrades would be most helpful cost-effective. • Get a monitor for the home that provides real-time data about energy usage. You’ll able to see where energy is going and use this information to modify habits. Both of these steps will save money. 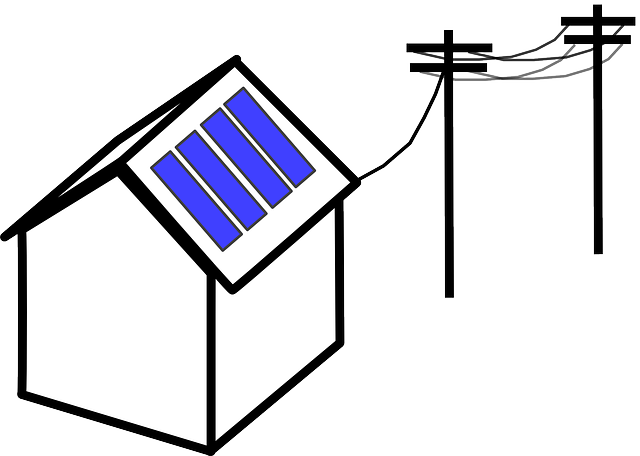 Net metering allows electric utility customers who connect approved, renewable generation systems such as solar panels to the electric grid to buy and sell electricity to the utility. When homeowners generate electricity from their solar array, it reduces the amount of energy they purchase from their utility company. This balancing act has come under much attack recently. Net metering was implemented as one of several incentives to kick-start the solar industry. These days, utility companies don’t like the arrangement, arguing that the solar industry is doing quite nicely and no longer needs this incentive, and that customers without solar are bearing an unfair burden of fees for operating the grid. The utility industry is fighting hard to change the rules around net metering. 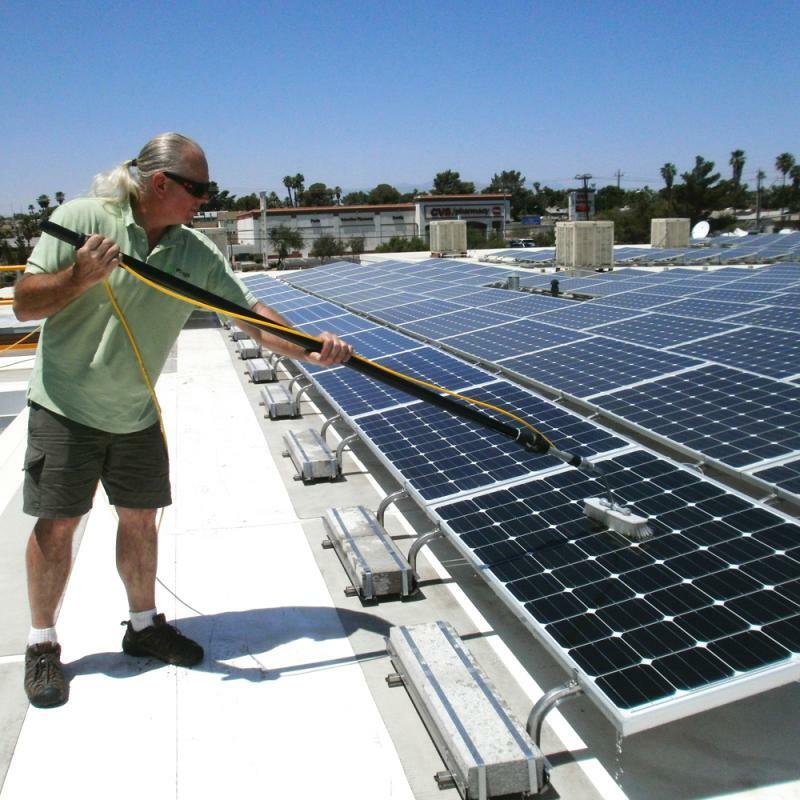 Net metering is critical to ROI and payback – so critical that in Nevada, where utilities defeated the solar industry and rolled back both the terms of net metering and the rates they had to pay homeowners for their excess electricity, the solar industry quickly dried up. The ongoing battle over net metering greatly effects the solar market and homeowners with solar systems. Some solar companies push a Power Purchase Agreement – aka lease. When they make their pitch, they tell homeowners what’s in it for them, but they don’t say what’s in it for the solar company. The main advantages of leasing are low out-of-pocket costs and no maintenance. These are really big advantages for some homeowners! Otherwise, purchasing holds all the cards: 30% tax credit, control, and a 5-10-year ROI. Loans and rebates can further sweeten the pie. If homeowners lease their system, their utility bills will definitely be lower than SDG&E. If they purchase, they’ll be even lower. And, if net metering continues, a utility company can end up owing the homeowner money on their monthly bill! But here’s what you should really keep in mind: solar companies that push leases are not really in the business to make a profit on installing solar systems. That’s right. They’re in the business of aggregating power. They own the power their leased systems produce and they sell it back to homeowners. The more leases they do, the bigger players they become in the power industry. They want to be your next utility company. Every existing solar system is unique. It may or may not add value to a home. It may or may not make the home easier to sell. • Who makes the panels? As the solar industry continues to consolidate, there will be fewer solar manufacturers in five years than there are right now. Make sure the manufacturer is still in business and has a good reputation. • What’s the warranty? Warranties differ wildly from company to company. Find out how much time remains on the warranty and exactly what’s covered. Many warranties do not cover service, labor, or shipping. • Is the system leased? If there’s a lease, what are the terms? Is there a fixed rate or a variable rate? (Fixed is ideal.) How easy it is to transfer the existing lease to a new owner. • How old is the system? Solar technology changes every year. Older systems don’t generate as much energy as newer systems and most systems become less effective as they age. • Is the system monitored? If so, how many kilowatt hours are produced annually? Ask to see the customer’s annual Net Energy Metering True-up statement, also called a NEM document. This special billing document details how much energy was produced by the home’s solar panels versus what was pulled from the electrical grid. With this statement you can begin to determine the energy value of the solar system. • The idea of a solar system is to offset existing energy use. Factor in differences in family size and energy needs to keep expectations realistic. • Has the system been maintained? Cleaning 2-4 times per year is ideal. Has the system been inspected? Inspections from qualified solar technicians cost about $125. • A bad solar system is a liability. A solar system on a roof may or may not add value. Appraisers struggle to value solar systems. They use comparable sales to determine value instead of ROI or payback. There aren’t a lot of comparable solar systems in your neighborhood and your appraiser probably has little or no training in understanding their value. There is no standard methodology for determining the value of an existing solar system. Some appraisers are certified as “Green Appraisers.” They’re more knowledgeable about the value of an energy-efficient home. Since appraisers are usually not selected directly, you rely on luck to have a green appraiser working with you. Like the rest of the solar market, this area is seeing rapid change. There has been some movement in the California state legislature to mandate appropriate training for all appraisers. A growing number of studies are showing that energy-efficiency and solar system do result in higher sales prices and shorter time-to-sell. The movement to include green features in MLS listings is gaining momentum. Buyers may not want to assume and existing solar lease. They may prefer to own their solar system. They may not like the terms of the lease. Terms of the lease may not favor a smooth assumption. Lenders may not allow a solar lease to pass through to new financing. Some lenders may balk at the perceived value of a solar system when determining loan amounts. Some lenders are more familiar – and some more comfortable – with the nuances of solar in financing a home purchase. A buyer or a lender may force a seller to buy out the lease – at terms that are less than favorable. This can make the home more difficult to sell – even negating potential sales in the works. Your customers look to you to be the experts in matters relating to their homes. We want to help you. That’s why we’re keeping both eyes on the energy-efficiency market. We’ll continue to provide helpful content to you through our enews letters, our website, and our social media sites. If you have any questions, please contact us – we love hearing from you! Property Assessed Clean Energy (PACE) programs allow property owners to finance energy-efficient, water-efficient, and renewable-energy projects on existing and, in some cases, new homes through a special tax assessment on the property. The property owner pays the special tax at the same time and in the same manner as all other property taxes. PACE looks like a powerful, valuable, exploding program that is here to stay. Realtors will want to understand the program and stay abreast of its evolution. PACE makes it possible to finance improvements without a down payment. In theory, because the improvement is a fixed asset that stays with the property, sellers may be able to transfer any remaining balance to the buyer when they sell their home. That way, whoever is benefiting from the improvements pays down the loan. Some lenders do not like PACE – we’ll talk about that. Realtors need to connect with an appropriate lender if they decide to pursue adding PACE to their array of customer options. · Allows funding of energy efficiency, solar, and water conservation. · Payments are made as part of property taxes. · Minimum equity in property 10%. · $5,000 minimum financing – up to 15% of property value. · Must work with participating contractors. · By offering up to 100% financing on qualifying improvements, PACE can eliminate the need to pay out of pocket for an energy-related project. · Depending upon the type of improvements installed, repayment may be amortized for a period of up to 20 years, keeping monthly payments low enough that utility savings may exceed the payment, creating a net positive cash flow. · Interest may be tax deductible. · Because PACE ties the loan to the property and not an individual, the loan may transfer upon sale or refinancing of the property. In other words, owners may not need to be concerned about recouping the cost of their improvements if they decide to sell the property before the loan is repaid. · A recent study indicates that the value of PACE homes increases more than enough to cover the cost of paying off the lien in the event of a sale. Owners of PACE loans have proven less likely to default than average owners. · PACE may present a hurdle in a real estate transaction. The lien that secures funding is superior to all previously existing private liens, including mortgages. In other words, like property taxes, the PACE special tax assessment will be paid before all other private liens recorded on the property if the property owner defaults on other debt secured by the property. This is changing as the program evolves. · Some lenders, particularly those involved with federally-insured loans, have balked at PACE because they fear losing money on a foreclosure. They may refuse to finance or refinance a property with PACE. They may demand that the lien be paid off as part of any title transfer. Prepayment can be costly. · There have been disclosure issues for Realtors. providers have improved the process by helping real estate agents understand how to disclose that there is an additional tax assessment on the property tax bill and how the energy and/or water savings help offset the assessment. · Long been promoted that a PACE Lien would transfer with property purchase. That has not been the case in many instances. FHFA initially discouraged PACE liens primarily due to the potential of first lien ahead of a mortgage lien. In California, the first commercial and residential PACE programs were established in 2008. The residential programs soon encountered a significant hurdle. The Federal Housing Finance Agency (FHFA) was concerned that residential PACE assessments had a lien status superior to that of existing mortgages underwritten by Fannie Mae and Freddie Mac. This meant that, in the event of a default, any outstanding PACE assessments (though not the entire amount financed) would be paid off before other liens such as first deeds of trust. In 2010, Fannie Mae and Freddie Mac stated that they would no longer purchase mortgage loans secured by properties with outstanding PACE loans. This effectively stopped residential PACE programs, with the exception of a few pilot programs. Since 2010, a number of developments have facilitated a resurgence of residential PACE programs in California – including the passage of state legislation (SB 555), the implementation of legal instruments to address FHFA concerns and disclose the consequence a PACE lien can have on an existing mortgage, and the establishment of a PACE loss reserve program. Many cities and counties now have PACE programs for all three sectors (residential, commercial and municipal). What can be financed with PACE? Eligible products vary by individual PACE providers and administrators. In general, most products that can be permanently affixed to a property and reduce on-site electric, gas or water consumption will be considered eligible. 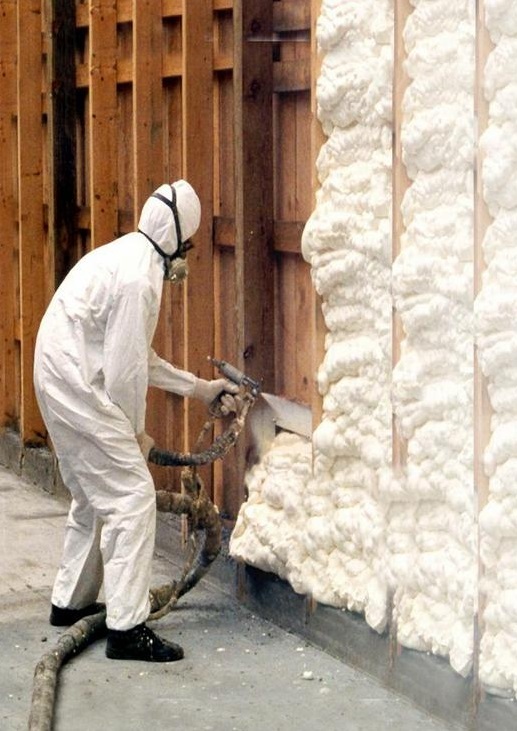 Some examples include attic insulation; heating, ventilation and air conditioning replacements; solar photovoltaic and thermal systems; and low-flow toilets. Often, projects must be performed by a contractor participating in the PACE program to be eligible. PACE programs in San Diego county are managed by Renovate America and Ygrene. These organizations facilitate loans with realtors, lenders, clients, and certified contractors. Renovate America, a San Diego company known for pioneering work and lobbying to improve PACE processes, recently passed the $1B mark in loans. The company, which is the leading provider of residential Property Assessed Clean Energy (PACE) financing in the U.S, and its government partners recently were awarded the U.S. Climate Leadership Certificate for Innovative Partnerships by the U.S. Environmental Protection Agency (EPA). The national award recognizes organizations working collaboratively on leading-edge climate initiatives which reduce greenhouse gas emissions. Renovate America, which provides loans through it HERO program, provides a team dedicated to supporting real estate professionals working with PACE loans. The nearly 55,000 households in California that have completed HERO projects have contributed to the creation of more than 11,000 local clean energy jobs, while reducing carbon emissions and saving water. Renovate America worked with the State of California to set aside a $10 million loan-loss reserve fund to reduce lender’s exposure to defaults. In more than two years of existence, no claims have been made against this fund. Y grene offers PACE financing in Chula Vista and throughout most metropolitan areas in San Diego County. Ygrene’s PACE loan is treated the same way as a Mello-Roos. Mello-Roos is a form of financing used by cities, counties, and special districts. These taxes are secured by a continuing lien and are levied annually against property within the district. These liens are subordinate to mortgages. Keep your eye on PACE. It looks like attention paid to working out the kinks in the original loan program are paying off. Your client base is your most valuable asset. Stay engaged. Join us for our upcoming webinar covering effective ways to reach out to your clients! 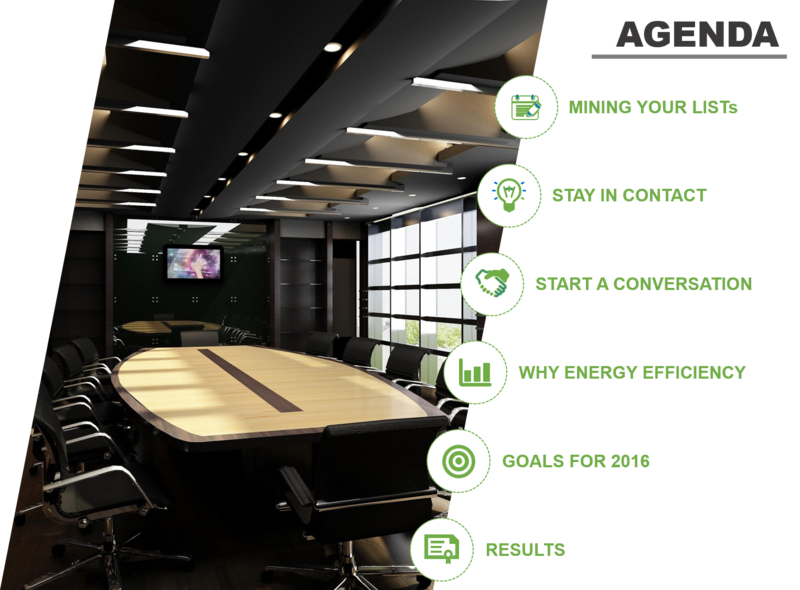 We’ll cover using email to reach out to your contacts; engaging your past clients in meaningful conversations using energy efficiency as part of your strategy; and solutions and strategies for mining your database. Custom collateral for farming, events…. 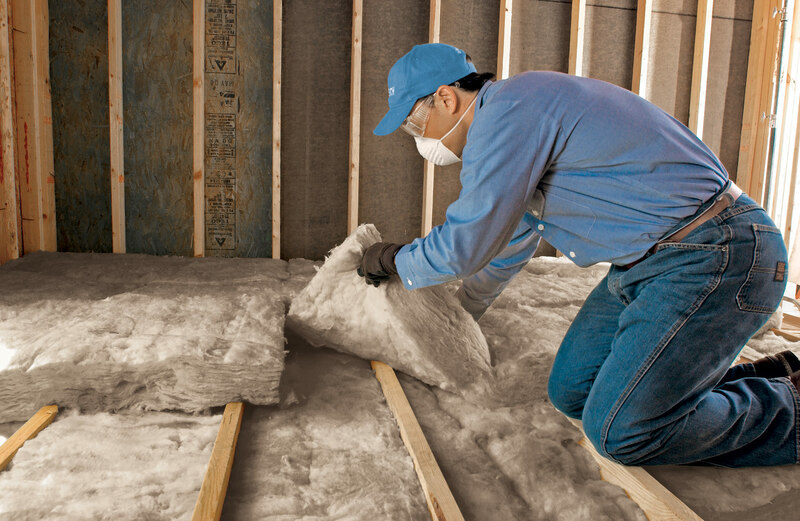 Since 2010, Inspection Perfection has focused on residential energy efficiency. We’ve completed hundreds of energy assessments in San Diego county. We monitor the Energy Efficiency marketplace regarding incentives, policy and news. 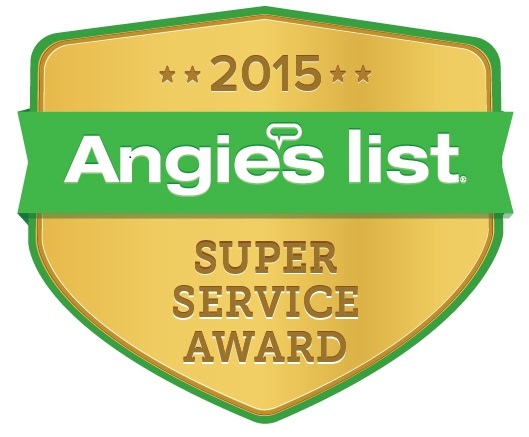 Inspection Perfection has earned the service industry’s coveted Angie’s List Super Service Award, reflecting an exemplary year of service provided to members of the local services marketplace and consumer review site in 2015. “We strive to improve our customer experience with every client. We are honored to receive this recognition for another consecutive year.” said Will Johnson, owner of Inspection Perfection. Angie’s List helps facilitate happy transactions between more than three million consumers nationwide and its collection of highly rated service providers in more than 720 categories of service, ranging from home improvement to health care. Built on a foundation of more than 10 million verified reviews of local service, Angie’s List connects consumers directly to its online marketplace of services from member-reviewed providers, and offers unique tools and support designed to improve the local service experience for both consumers and service professionals. The San Diego MLS Green Features Initiative is taking shape. The growing consumer interest in sustainability is attracting attention. In California, energy efficiency has been cost-effective since 1978. Homeowners who have invested in energy efficient upgrades need to see the value of their investments reflected in appraisals and selling prices. Buyers are shopping smarter when it comes to energy. Federal, state, and local governments have taken notice of the cultural shift toward sustainability and have spread around incentives to improve buildings’ efficiency and diminish the country’s dependence on non-renewable energy sources. Areas where green MLS statistics have been kept show the positive trends that green home sales are making in their area. For instance, in Atlanta during 2009, certified green homes sold 3.6% closer to list price and were on the market 31 days less than conventional new construction (108 vs. 139 days). A 2012 UCLA study finds a 9% contributory value for green-labeled homes. The 2011 North Carolina Energy Efficiency Alliance’s ENERGY STAR Market Impact finds that ENERGY STAR® new homes sold for a $5,500 premium, 90 days sooner than other homes. One way to ensure that the industry is prepared for the growing attention and demand for more efficient, comfortable homes is by making it simpler to find, promote, and evaluate green properties. As the San Diego MLS Green Features initiative gains steam around the country, building professionals in San Diego have established cross-functional teams to plan and execute green MLS here. 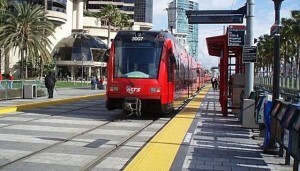 Contact your Realtor association to see where they stand with implementing the San Diego Green Features Initiative. Look for additional articles and blog posts from us as we continue to help the industry understand the ins and outs of energy efficiency, ROI for improvements, and the array of rebates and financing packages to support investments. 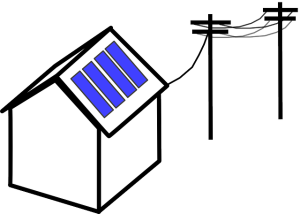 Net metering allows homeowners with solar systems to feed excess energy back into the grid and makes their utility company compensate them for it at retail rates. This shows up on monthly bills as a offset. In some months net metering can earn homeowners a credit. It’s no wonder the solar industry is BIG on net metering – and utilities are not. The current arrangement was coming to completion – here’s what’s on the table to replace it. This looks like a win for the solar industry, which has been fearful of losing this powerful incentive entirely. It must be noted that the rules around solar – from incentives to clean energy use mandated by recent Climate Action Plans to net metering all continue to morf as the dance toward sustainability quickens. SAN FRANCISCO, December 15, 2015 – The California Public Utilities Commission (CPUC) today helped ensure that Californians will continue to receive the benefits of using clean energy by proposing a successor program to the current Net Energy Metering (NEM) program. NEM allows a customer-generator, such as those who have installed solar photovoltaics (PV), to receive a financial credit for power generated by their on-site system and fed back to the utility. The Proposed Decision issued today by CPUC Administrative Law Judge Anne E. Simon establishes a NEM successor program that would continue the existing NEM structure while making some adjustments to align the costs of NEM successor customers more closely with those of non-NEM customers. ● One-time interconnection fee (likely to be approximately $75-$150). This fee, which represents the costs for a utility to review and ensure that a NEM system interconnects safely to the grid, has historically been borne by all utility customers, including non-NEM customers. The Proposed Decision finds that these interconnection costs can be paid by NEM successor customers themselves without jeopardizing the economics of the NEM installation. ● Non-bypassable charges that all utility customers pay. Non-bypassable charges are used to fund low income and efficiency programs. They are the equivalent of approximately 2-3 cents per kilowatt-hour of energy consumed. Historically, NEM customers have only paid for non-bypassable charges if over the course of a year they consumed more electricity from the grid than their installation produced. The Proposed Decision finds that NEM successor customers should pay for non-bypassable charges on all energy they consume from the grid, regardless of the amount of energy they have exported to the grid. In order to maximize the value of time-of-use rates in improving customer responsiveness to grid impacts, the Proposed Decision requires NEM successor customers to utilize time-of-use rates. Customers who sign up in 2018 or later must utilize time-of-use rates as soon as they sign up, while customers who sign up before 2018 must utilize time-of-use rates beginning when all residential customers go on default time-of-use rates in 2019. The Proposed Decision establishes a framework to develop two new programs to drive adoption of renewable distributed generation among residential customers in disadvantaged communities. 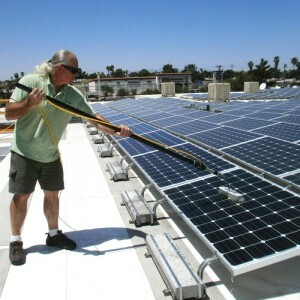 One program would provide financial incentives for multi-family buildings to install solar PV, and the second would allow residential customers in disadvantaged communities, regardless of whether they own or rent, to participate in NEM even if they aren’t able to install a renewable energy system on their premises. The successor NEM program would take effect for new NEM customers after the utilities’ existing NEM program participation caps are met, or July 1, 2017, whichever occurs first. The Proposed Decision is scheduled for the CPUC’s January 28, 2016, Voting Meeting. The Proposed Decision is available at here. 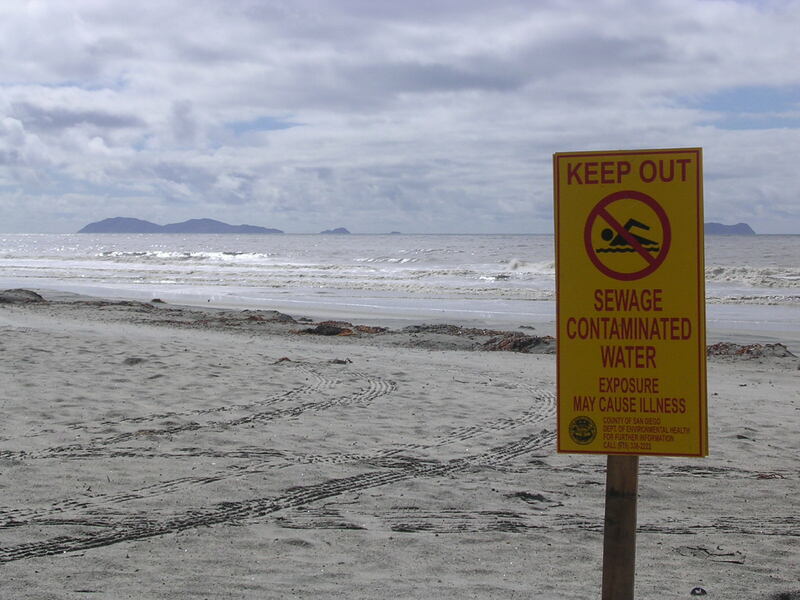 For more information about the CPUC, please visit www.cpuc.ca.gov. Where are we with the San Diego Climate Action Plan? We’re working from an Adoption Draft 2015. The city’s Committee on the Environment will convene a special committee meeting on November 30th to take action on a report from the Planning Department requesting the City Council approve the plan. Which means we’re getting there. The San Diego Climate Action Plan is both general and specific – providing a roadmap to achieve greenhouse gas reductions through 2035. It sets forth common-sense strategies to mitigate potential environmental impacts and make us less vulnerable to climate change. In implementing strategies, the plan seeks to balance environment and growth. It responds to state targets, laws, and regulations regarding reducing greenhouse gas emissions. It advances San Diego’s City of Villages concept, featuring walkable centers linked by active transportation. Implement an Outdoor Landscaping Ordinance that requires use of weather-based controllers. Increase use of each through improving bike lanes, crosswalks, sidewalks, parking, developing areas around transit stops. The San Diego Climate Action Plan is the result of much local effort with tons of ongoing citizen participation. It will certainly change and shape our future. It’s nicely done and very readable. We don’t spend much time reading Senate bills. But sometimes, they tell a story, or are part of a story that’s relevant to our lives and our work. SB350 is one of those. SB350 is called the Clean Energy and Pollution Reduction Act of 2015. It was signed by our governor on October 7th of this year. Here’s what you need to know about it – at least so far. The stated purpose of the bill is to create jobs, grow the state’s economy, and improve public health by setting new standards for California’s Renewable Portfolio Standard (RPS), and increasing energy efficiency in existing buildings. The original bill contained three parts. Two parts were signed into law; the third part, an attempt to legislate up to a 50% reduction in gasoline use by 2030, was derailed by the oil industry in the final week of the legislative session. Let’s talk about the other two parts. Net metering. Currently, when your home generates more energy than you can use, power is fed back into the grid and your power utility pays you for it – at the retail rate. Utilities would rather pay you at wholesale and are working hard to change the rules. Private power companies. When solar companies lease panels to homeowners, they get the electricity. They are aggregating this power to become, in essence, private utility companies. They stand to profit. These two movements, coupled with SB350, are changing the playing field for solar businesses – and changing the ROI on solar investments for homeowners. Zero energy. It’s clearly possible to build houses that generate as much energy as they use. Smart homes. The movement towards zero energy homes is no longer an alternative idea – it’s being pushed by the Department of Energy in Washington as well as forward-thinking state agencies. Building science. The first goal of zero energy is to build a tight shell – one that doesn’t leak cool air in the summer and warm air in the winter. This changes the way buildings are effected by moisture. It also means handling the air in different ways to make sure it’s healthy as well as comfortable. Building science is changing the way homes are designed and built. High-end architects and builders are getting on board. Look for building science to push the building industry to higher levels of sophistication and competency. Homeowner behavior. Having an energy-efficient home and appliances is only half the equation; the other half is how consumers run their homes. Software that monitors smart meters is becoming accessible. Homeowners can see, in real time, the effect their decisions make. A graph on their cellphone can show a spike when they turn on a hair dryer and they can see exactly what it will cost. This information will allow users to be smarter – like their homes! It will also allow contractors to monitor the homes they’ve worked on to see – and demonstrate – the effectiveness of their work. So, what are we doing about all this? • We’re working to get green home characteristics included in MLS listings. This is one energy-related area California is not leading the nation. • We include a basic energy evaluation in every home inspection. • We do complete energy assessments and help home buyers, homeowners, contractors, and lenders access and leverage a growing array of financial tools to help pay for energy upgrades. • We work with Realtors to help them understand all this energy stuff and how to make sense out of it for their business and for their clients. We’re also upgrading our website to include a brief form homeowners can fill out that will tell us quickly what directions they might want to consider towards maximizing their comfort and reducing their energy bills. We follow up with a brief phone conversation to help them understand their options and point them in the right directions. Would you please go online and try it – we’d love to hear from you! I’ve recently noticed that many homes refurbished by a bank or private investor are coming back onto the market. Bank-owned properties are usually in high demand, attracting multiple offers the day the property is listed, as first-time home buyers and investors aggressively vie for them. But are they really such a good deal? Properties are now appreciating enough for investors to purchase, renovate, and put them back on the market in a matter of months. Known as “flipped” properties, they typically feature attractive renovations that draw buyers, including new paint, flooring, and possibly new appliances and cabinets in the kitchen and bathrooms. As alluring as these properties are with their fresh, modern colors and fixtures, problems often lurk “underneath the covers” in the components that make up the home’s primary infrastructure. Areas like roofing, heating, A/C, plumbing, and electrical systems are generally ignored during the renovation. Additionally, many of these components are already beyond their estimated life, meaning that not only will they be prone to fail, but will pose health and safety risks as well. This is compounded by the fact that non-licensed workers are often hired to complete these renovations to keep the investor’s costs low. The result becomes obvious when I find mis-wired outlets, unsecured toilets, and improperly installed appliances. This can all add up to a “house of horrors” to the buyer looking for a value purchase. For example, I recently inspected a bank-owned house in Mira Mesa. The three bedroom, two bathroom house had received new paint inside and out, new wood laminate flooring, new kitchen cabinets and appliances. The bathrooms had new vanities with original toilets and shower/tubs. During my inspection, which generally takes up to three hours to thoroughly inspect all the major components of the home, I first grew concerned when I tested the wall outlets. Most of the outlets in the home had been replaced; however, many indicated reversed polarity. Two outlets in one of the bedrooms were completely dead, and I couldn’t verify if the wall switch operated an outlet or ceiling light. It was very apparent that an unskilled worker upgraded all these outlets. I immediately investigated the electrical panel to see if the breakers were engaged. The manufacturer is Zinsco, whose panels are known to have defects that can cause fires. The panel was also beyond its estimated life, carrying the added risk of the breaker failing to open in an overloaded condition. I noted one breaker appeared open. But when I attempted to reset the breaker, it immediately opened up again. This indicated an overloaded condition. I stopped inspecting the electrical system further and advised the buyer of the dangers and to have a licensed electrician provide an estimate for upgrading the unit. Moving on, I started to evaluate the central heating furnace. Our fine, moderate climate has lulled many Southern Californians into ignoring their heating and air conditioning systems. In this home, the ignored furnace had accumulated years of dust, and the air filter hadn’t been changed in years. These older neglected furnace systems pose the very serious potential danger of carbon monoxide leaking into the air supply system. I again recommended that the buyer solicit additional evaluations by licensed contractors to further assess these conditions and costs for repair. In contrast, I have inspected other flipped properties and was able to validate the safe functionality and installation of all the home’s components. But my experience in this area is hit or miss, and it’s almost impossible for the average buyer to know if they’re looking at lipstick on a pig or a great value buy. It takes an experienced inspector to help prospective buyers make an informed decision. © 2015 Inspection Perfection. All Rights Reserved.